NGC 6946 is a broad but dim face-on spiral galaxy located approximately 22 million light years away. 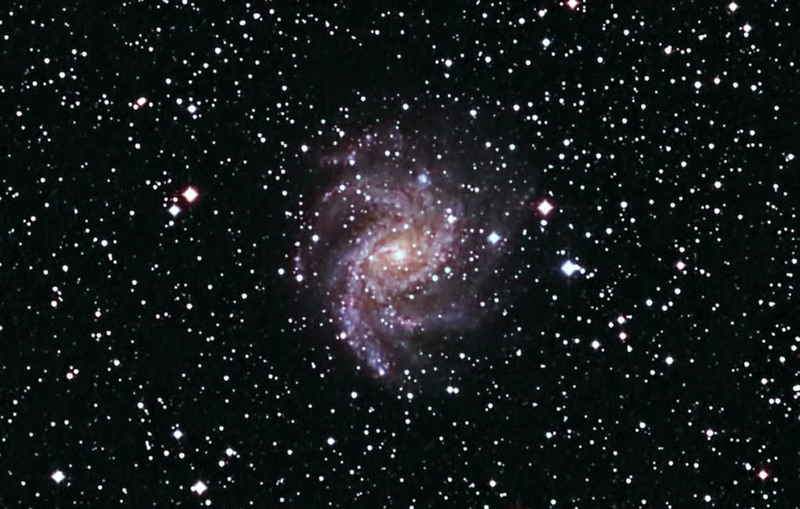 It is commonly know as the "Fireworks Galaxy" due to its high rate of star birth (and death). Guiding: Orion SSAG on Lumicon 50mm super finder. Images were focused using the camera's Live View function. Subframes were aligned and combined in ImagesPlus. The combined image was adjusted in Photoshop (Levels, Curves, Shadow/Highlights, Cropping). Noise was reduced using Topaz DeNoise.